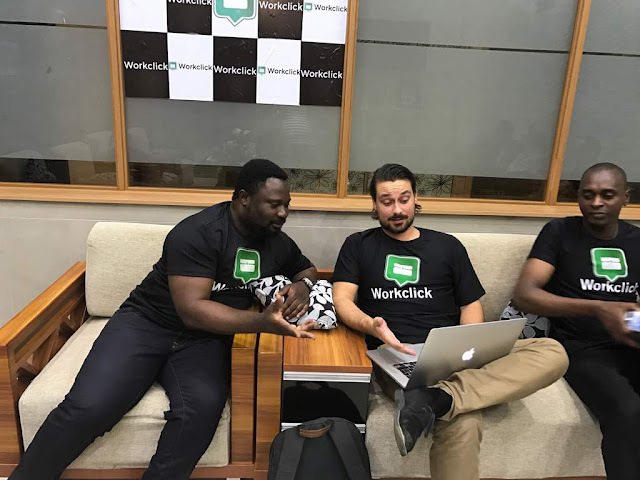 Over 5000 professionals now have the opportunity to make extra income as a leading on-demand service networking company, Workclick officially launches its operation in Nigeria. Workclick is an App based service that connects professionals to thousands of people within their relocation who requires their services. Speaking at the official launch of the service and unveiling of its workers in Lagos, Workclick, Co-founder, Engr. 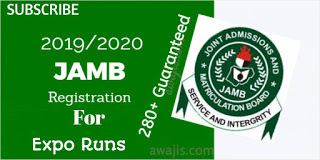 Samuel Ajiboyede said that the entry of his company into Nigeria will not only help professionals make additional income but also drastically reduce the unemployment rate in the country. “ We are really excited to be launching this service here in Nigeria. We believe that this exactly the service that every professional in this country has been looking forward to; an opportunity to make extra income while maintaining their routine jobs,” he said. Engr Samuel Ajiboyede with some Workclick workers in Lagos. 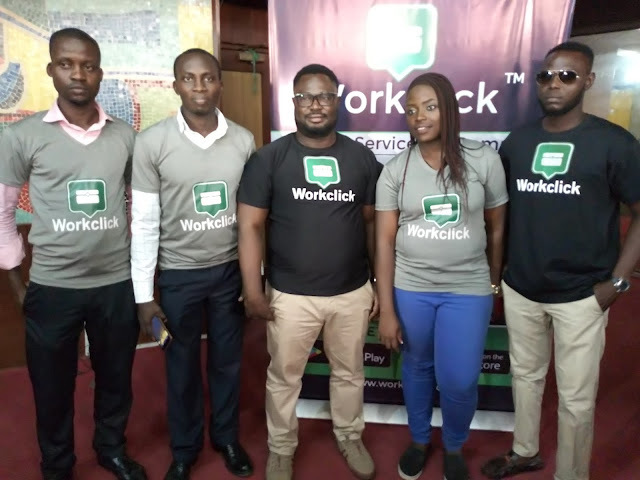 Ajiboyede said that the over 5000 skilled professionals who have already signed up with the platform have been screened and trained to meet up with Workclick international standard. He listed the skilled services currently available on their platform to include; Hairdressing, plumbing, dress making, gardening, barbing, painting, mechanic, dentistry, photography, electrician, DSTV Installation etc. Some Workclick workers at the launch of the service in Lagos. Ajiboyede who noted that Workclick services is also presently available in the United States of America and Kenya, said that the major aim of the company in Nigeria, is to help the large population of skilled persons in the country make additional income; and also to provide professional services to customers at their utmost convenience through the mobile app.
" We currently have patent for Workclick in US, Kenya and Nigeria. Many countries will certainly come on board in the coming year. Here in Nigeria, we are beginning our service with over 5000 skilled workers who are ready to provide their services on demand through our app. The basic thing we want to achieve through our app is to connect skilled Nigerians with those that need their services. "We believe that through our services, the unemployment rate in the country will be reduced and even those who already have jobs, will make more income through Workclick. We are simply taking over the marketing aspect for skilled individuals and connecting them to customers in their locations," he said. Engr Samuel Ajiboyede, Co-Founder, Workclick. Explaining how the service works, Ajiboyede said" Workclick is an app based platform. Through the app, also known as Workclick, we pool a cluster of highly skilled and well-trained experts ranging from gardeners, barber, tailors, plumbers, DSTV Installers to medical practitioners and connect them to customers who need their services. "The app is available on PlayStore and on App Store. It comes in two forms; one for the worker and another for the customer.
" Before deploying our workers, we thoroughly screen them and conduct further training for them to meet our standard. Once this is done, they return to their various normal job and locations. The app will subsequently alert them when a customer using the app requests for their service. "Prices for all available services are already listed on the app and we as a company collect only 20 percent as service charge for every job successfully done. The rest of the money goes to the worker. This is what we are about: empowering skilled people to make more income while doing their normal businesses." Admonishing the workers to be good ambassadors of the Workclick brand, Ajiboyede said that feedbacks from users which is one of the many feature of the Workclick app, will enable the platform to rate and kept track of worker's performance. Ajiboyede also hinted that the service which is available only in Lagos and its environs would be extended to other parts of the country before the end of the year. 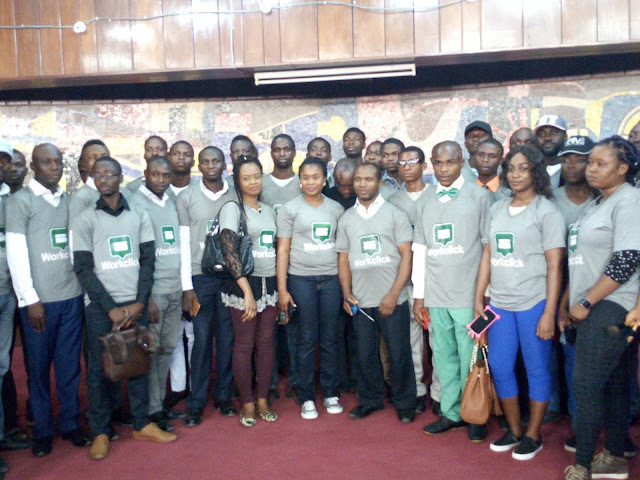 0 Response to "Workclick engages 5000 Nigerian Professionals for On-Demand Services"